In previous posts we have discussed the injuries and deaths involving Toyota’s “sudden acceleration” accidents. While Toyota once objected to the notion that the vehicles automatically accelerated and caused accidents, the company has now agreed to move forward in an intensive settlement process on behalf of accident victims and their families. As with most large-scale product liability and defective products cases, the facts can be complicated and involve numerous victims. In this case, the company is likely moving forward to prevent additional public exposure and to prevent an extended trial period for these cases. Any car accident case may involve a defective part or product. If you or someone you love was involved in an accident, you should consult an experienced advocate who can investigate your case and uncover the cause of the injuries or fatalities. Our Boston personal injury attorneys are experienced with complex car accident and products liability claims and can effectively protect your rights and interests. We are also dedicated to staying abreast of cases involving multiple injuries and accidents caused by defective products. According to Business Week, Toyota has finally agreed to move forward with settlement talks. 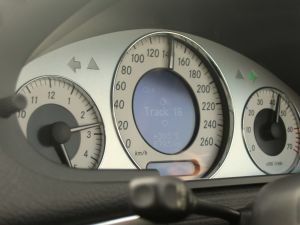 Up until this point, the Japanese carmaker was challenging publicly and fighting lawsuits alleging that their vehicles were prone to acceleration without warning. This defect resulted in injuries and wrongful death. Earlier this month, a federal judge announced that the company is looking to settle in an attempt to stop the litigation. The U.S. District Judge issued an order to halt the lawsuits after Toyota and plaintiffs’ lawyers requested additional time in an attempt to work out a settlement agreement. The first trial was scheduled for March where the judge was slated to hear 200 federal claims that were consolidated. The judge announced in the order that all plaintiffs can participate in the settlement process and those claims that go unresolved will be scheduled for a formal mediation. Toyota has moved toward settlement two months after they lost a first trial in a lawsuit involving an electric defect that resulted in sudden acceleration. In the first case, Toyota was ordered by a jury to pay $3 million for losses. Prior to the lawsuit, the carmaker had recalled more than 10 million vehicles because of unintended acceleration problems that were reported in 2009 and 2010. The company started with a 2009 recall of 3.8 million Toyota and Lexus vehicles. Additional recalls were made because of defects with pedals. After the first lawsuits were filed, Toyota seemed like it was ready to fight aggressively against the claims and to prevent liability. Now the company has been involved with litigation for nearly 3 years and it looks as though the company has finally acknowledged that it is facing an uphill battle. In support of claims, plaintiffs’ lawyers have pointed out that the company recalled vehicles that they acknowledge had defects. Pretrial rulings may also have contributed to the settlement decisions. While Toyota may ultimately admit fault or liability, the settlement agreements could bring some closure to the families and victims of the accidents. If you or someone you love has been injured in a traffic accident, contact Jeffrey S. Glassman for a free and confidential appointment to discuss your rights. Call 888-367-2900.